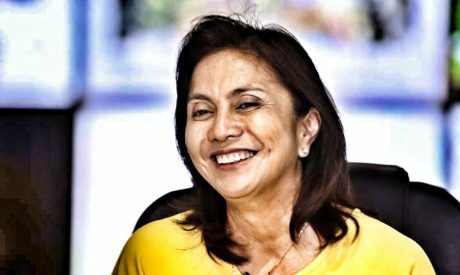 Leni Robredo is more interested in clinging to her ‘vice presidency’ than strengthening Philippine democracy. Ballots in four ballot boxes were wet and one had a puncture, while 38 out of 40 opened ballot boxes from Bato, Camarines Sur, had missing audit logs, the Marcos camp said. Perhaps. But, really, it should be the Commission on Elections (COMELEC) or the The Supreme Court Presidential Electoral Tribunal (PET) who should be responding to the complaint. The statements of Robredo’s mouthpieces, just like the “support” of the Roman Catholic Church they had conscripted to their cause, are all irrelevant. It is a habit that the Philippine Opposition led by the Liberal Party (a.k.a. the Yellowtards) seem to be exhibiting consistently. Back in 2016 when incidents and pieces of evidence pointing to the possibility of massive fraud were being raised, the Yellowtards were then, as they are now, quick to step in and dismiss these allegations. One would think that the foundation of any democracy — the integrity of its elections — would be a paramount concern to any participating party. It seems that concern over the integrity of the 2016 elections is not something that is a cause of concern for the Yellowtards. The fact that tainted input into the investigation could be spun either way by any or both parties in this effort seems to escape the Robredo camp. An outcome that is favourable to one could be disputed by the other (and vice versa) on these grounds. In this regard, Robredo’s mouthpieces are actually doing her a disservice by being quick to dismiss the complaints of the Marcos camp. There should at least be an investigation to find out what got those ballots wet and what happened to those audit logs. Until then, the investigation becomes a highly-disputable one and whatever the PET rules could remain the subject of continued public distrust over the integrity of the COMELEC itself. Rather than take positions against Marcos, Robredo and her mouthpieces should be taking positions for electoral integrity. That is the bigger issue at stake that Robredo’s small-minded handlers and supporters should step up to discussing. Halatang-halatang may ginawang kababalaghan ang mga yan. Defensive sila masyado. Bopol din pala talaga ang Macalinta na yan. Malaki siguro ang talent fee nyan sa mga pinaggagagawa nya. Let’s just hope and pray that the truth will prevail. It’s not who will win, but it’s the integrity of the COMELEC that has to be restored. If not, the future elections will be full of doubts. ‘Electoral integrity’ is an alien phrase for a party that doesn’t have any integrity at all. and what party in the Failippines has integrity ? OH DO TELL !!!! The ‘WET BALLOT’ Scandal initiative was initiated by Senator BONG-BONG MARCOS, REALLY ? WHAT MOTIVE COULD HE POSSIBLY HAVE IN WANTING TO BE THE VICE-PRESIDENT? The MARCOS FAMILY OWES EACH AND EVERY FILIPINO CITIZEN AN UNBELIEVABLE AMOUNT OF MONEY, and to think that Ferdie and Imelda’s SCUMBAG PROGENY is pointing a finger @ Leni Robredo, before looking at himself and his families scumbaggery since 1965 is pretty frikkin nervey ! But that is the natuire of being a SCUMBAG ! So the issue that people may possibly have been robbed of their right to elect their own leaders doesn’t concern you? Says the actual SCUMBAG who would totally support ELECTORAL FRAUD and totally fine about every Filipino citizen should always be robbed of their right to elect their own leaders as long as one tainted surname should not be elected. Evil is a mystery, a scandal and it will always be so. argument that the ballot boxes, became wet , because of storm. Were the ballot boxes, not placed securely in a building compound ? As for the missing audit logs. It was deliberately, not placed there, or were removed. I don’t buy to the argument, that , they simply forgot to put the audit logs there. Punctured ballot boxes ? They were handled and thrown carelessly by handlers in the Supreme Court. It is like a twice told tale. Can that idiot, Macalintal come out with a better tale or story ? We know already that the former COMELEC Chief Andres Bautista, has a lot of bribe money. The money they bribed him, may had come from the DAP, PDAF or form the Typhoon Yolanda Fund. And that the SMARTMATIC and PCOS voting machine were tampered, during the counting of votes. The Filipinos have a lot of patience. We should all rise up, and drive these crooks away, who are making a mockery of our Electoral System. Let us hang : Robredo, Aquino, Macalintal and Andres Bautista. They are all crooks and sbumbags.